Davonne has lived in Butler County, OH, for the last 25+ years. He earned a B.A. in Communications from Georgetown, KY and earned his Masters in Education from Grand Canyon University and the University of Dayton. The communication skills that he has learned throughout his career has allowed him to build strong, trustworthy relationships with the people around him. He takes great satisfaction in providing the best service to his clients by listening and always placing their needs first. Davonne’s goal is to make sure that you are the most informed buyer/seller that will in turn allow you to make the best decision for you and your family. 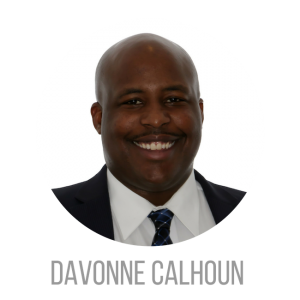 When Davonne is not busy with real estate, he enjoys spending time with his daughter and supporting her in her extra-curricular activities. They enjoy watching football together and spending time with family. He also loves to volunteer and enjoys making a difference in the community.